Whether residents vote for or against video gambling in Forest Park on Nov. 6, the village has already made history: Forest Park is likely the first municipality in Illinois to publicly vote on the practice after it has already been legalized in town. “I do recall more communities that were not allowing video gaming deciding to allow it rather than the opposite. I don’t recall anyone else,” said Gene O’Shea, spokesman for the Illinois Gaming Board. If Forest Parkers vote out the machines, the village will join at least 128 other municipalities across the state that have prohibited the practice, including Oak Park, which has “opted out” of gambling, and River Forest, which has an ordinance that prohibits it, according to the Illinois Gaming Board. At least 38 other municipalities have limited the practice in their towns to a specific bar or type of establishment, and more than 1,000 villages across the state have legalized it across the board. The binding referendum question, “Shall video gaming be prohibited in the village of Forest Park?” is the only village issue that will appear on the upcoming election ballot. “I’ve always known it’s been a hot-button issue in Forest Park,” O’Shea said, citing news coverage of the practice, resident calls he’s received over the years, and the recent donations to Let Forest Park Grow-Vote No, a ballot initiative committee that supports legalized video gaming in the village. He said he’s not surprised that gambling machine vendors have thrown nearly $60,000 into the local race. “That’s not unusual. There has always been an element of, when there’s public discourse around gambling, certain monies from different interested parties make their way to either camp. It happens. Lobbyists on either side of the issue are going to pay. That’s happened on the casino side; it’s not unusual for that to happen here,” he said. 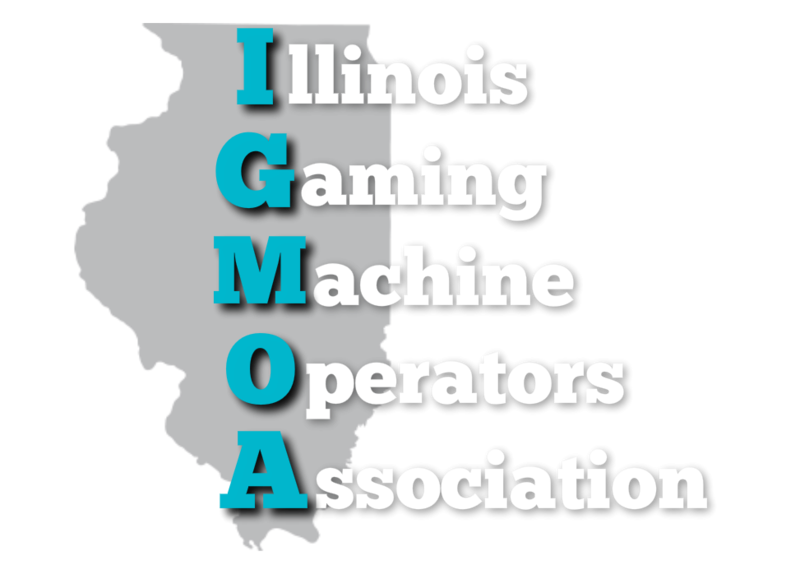 The Illinois Gaming Machine Operators Association, which acts as an umbrella group for video gambling machine firms, did not respond to interview requests. Glen White, a spokesman for Delaware North Companies, said the Buffalo, New York-based global hospitality firm supported legalized gambling in Forest Park because it wanted to protect businesses’ right to offer gambling. On Sept. 4, Delaware North donated $15,000 to Let Forest Park Grow. “Our support of Let Forest Park Grow-Vote No is aimed at preserving the right of local businesses to operate state-regulated video gaming, which provides them with revenue to reinvest and grow their businesses and also provides revenue to the village for the benefit of taxpayers,” White said in a statement. Delaware North is the parent company of GEM, a video gaming operator in Illinois. None of the other three video gaming machine operators that donated to Let Forest Park Grow responded to interview requests about how they found out about the ballot initiative or why they supported the cause. Anita Bedell, executive director of the Illinois Church Action on Alcohol & Addiction Problems, who tracks video gambling news in the state, said she likewise wasn’t surprised video gaming machine operators donated to Let Forest Park Grow’s cause, since they keep half of the money gambled at the terminals. Companies might be concerned about the precedent Forest Park’s vote could set, she said. “If it goes through there, then will other towns go through it the same way? They’re protecting their interests and bottom line, and they just keep expanding in more and more communities,” she said. Bedell said gambling machine companies are “very aggressive” and pressure local mayors and village councils to overturn bans on gambling by organizing bar owners and their patrons. She said Forest Park is the first municipality to have a public vote on video gambling after it was already legalized in town, comparing it only to Will County, where the County Board voted in April 2015 to prohibit the expansion of video gaming after it had already been legalized in the area. “Don’t let this go any further,” Jim Moustis, county board chairman, said at the time, according to the Chicago Tribune. The state has allowed the gambling machines “anywhere,” and there is a “total lack of control and oversight,” he said then. Bedell, who testified at the Will County hearing on video gaming, said Will County board members voted to pull the plug on future gambling because they were concerned about locals losing so much money. Since the village only earns a nickel for every dollar gambled — along with a $5,000 annual license fee and $25 machine terminal fees — she said the costs to the village outweigh the benefits. She pointed a list of 60 incidents her group has compiled of crimes related to video gaming that have occurred across the state, including a May 2017 burglary of video gaming machines at a Madison Street bar in Forest Park. She argued that the social and village costs related to video gaming outweigh the benefits for bars, and said banning video gambling in Forest Park once it’s already legalized would send a strong message. James Watts, chairman with Let Forest Park Grow, said he’s not sure if Forest Park is the first or only municipality to have a binding referendum vote on the practice of video gaming after it has already been legalized in town. Watts, the owner of O’Sullivan’s Public House, who brought the local battle over video gaming to the state Supreme Court, said video gaming has not brought more crime into town or decreased property values. Fourteen local bars offer the machines in their establishments, although 16 total licenses have been issued. Jordan Kuehn, president of the Let Forest Park Vote on Video Gaming ballot initiative committee, said he was involved in canvassing during the first effort to get a vote on the practice, which ended in 2016 when the Village Electoral Board ruled that the group did not have a valid 25 percent of voters’ signatures in town, the threshold the Illinois Gaming Acts requires to get a vote on the practice. That is more signatures than were received by both mayoral candidates in the last village election combined. After failing once, the group rebooted, hired a lawyer and began collecting signatures again, this time keeping track of who signed the petitions on a spreadsheet and comparing it with a list of valid voters they received from Cook County. Rep. Lou Lang, a Democrat from Skokie who sponsored the original video gaming bill, said he had been studying video gambling for a long time before sponsoring the bill but couldn’t remember who provided him the study materials. He also said he couldn’t remember who “was at the table” to decide the threshold for municipalities to get a vote on the practice. Lang also said he hadn’t heard of any other municipality publicly voting on the practice after video gaming has already been legalized in town. Since successfully placing the binding referendum question on the ballot, Kuehn said Riverside has reached out for more information on how to get a binding referendum vote on the practice. Video gaming is currently banned in Riverside. The Elmhurst-based Citizen Advocacy Center also followed Forest Park’s case, gathering information on how the community law firm could support other anti-video gaming efforts. “I think it sets a precedent to other municipalities that it can be done. It’s not easy. I also think it may encourage someone to challenge the law because I don’t think that threshold is constitutional,” Kuehn said.